It was in tropical Santa Barbara that Gregore and Jennifer-Rabe Jewelers became a reality. Gregore arrived from gorgeous Vancouver, Canada with its majestic mountains, and scintillating rivers; Jennifer-Rabe from "La Costa del Sol" the Mediterranean coast of Sicily and later in Southern Spain. The exposure to these richly beautiful, natural landscapes, combined with a lot of freedom to play as children, created a fertile ground from which to blossom as artists. That they chose jewelry, was a lucky stroke of fate. In their separate continents, they were exposed to this ancient craft, heralding from the East, when they were only in their teens. Gregore as a career opportunity, and Jennifer-rabe as yet another art class, in highschool. Fine jewelry fed into their constant curiosity about creating pieces that awed and amazed because of the detailed craftmanship, the beauty of materials, and exquisite design. Even their designs have suggestions of exoticism. 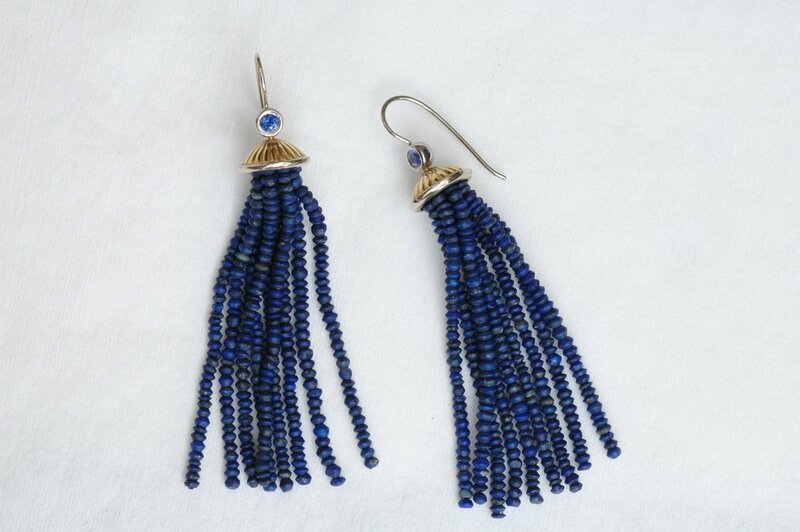 Lapis lazuli is mined in the East and is a stone widely used in those regions, even in ancient Egypt. 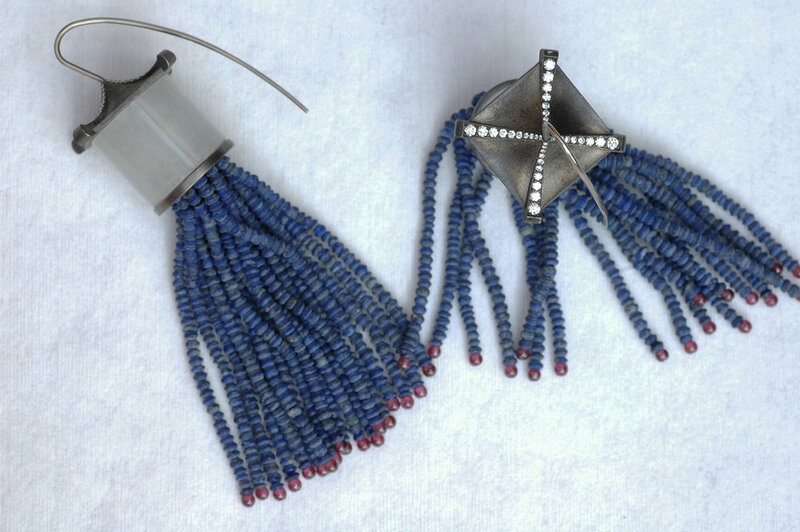 The lantern earrings have details like those found on Japanese roofs. Tassels, jade and garnet also reminds us of that which is ethnic and mysterious. Natural stones are found in abundance in our designs, which can be simple or more complex while still remaining interesting and desirable. Jewelry is about making use of earth's rare materials to adorn ourselves to make us feel beautiful and to feel special.